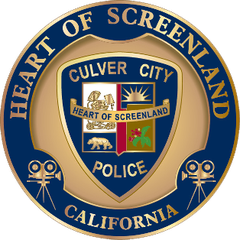 The 3rd Annual Screenland 5K Run/Walk is being held this morning, Sunday, February 24, 2019, in the Culver City downtown area. Road closures will begin at 6:00am and extend to 1:00pm. The Culver City Police Department will begin removing vehicles from the race course at 6:00am. Traffic closures will extend from Culver Boulevard to Washington Boulevard and Overland Avenue to National Boulevard. Culver Boulevard will be closed from Overland to Venice Boulevard. Residents along Culver Boulevard have been given permits to park on surrounding permitted streets. All streets perpendicular to Culver Boulevard will be required to exit south onto Braddock Drive. Lincoln Avenue will become a two-way street until the end of the event. Northbound Duquesne Avenue will be closed from Braddock Drive to Washington Boulevard. Washington Boulevard will be closed from Madison Avenue to National Boulevard. Washington Boulevard between Motor Avenue and Madison Avenue will be closed between 8:30am-9:45am. Madison Avenue will be closed from the Sony Gate to Culver Boulevard. Landmark Street will be closed at Washington Boulevard but will be accessible from Carson Street. Lindblade Street will become a two-way street until the end of the event but will be closed at Ince Boulevard. Krueger Street and Pointsettia Court will also be closed at Ince Boulevard. Higuera Street and Robertson Boulevard will be closed at Washington Boulevard. The public is encouraged to use the public parking at the Watseka, Cardiff and Ince parking structures which are accessible from Venice Boulevard. Parking in the residential areas surrounding the event is restricted and vehicles are subject to citation and/or impound. For additional information or to register as a participant or volunteer, please visit www.screenland5k.com.